Banks are facing fresh challenges in mobilising deposits as their non-bank rivals are attracting savers with higher returns on bonds. 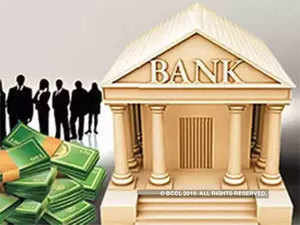 Aggregate deposits of banks have shrunk by Rs 4410 crore in the fortnight ending March 15, and with about half-a-dozen NBFCs looking to mop up about Rs 3000 crore in non-convertible debentures (NCD), banks have their task cut out to keep the flow intact. Small savers have also shifted their preference to equities and mutual funds, which has forced banks to hold on the deposit rates despite Reserve Bank of India’s signal for a softer interest rate cycle. They have now to compete with Srei Infrastructure FinanceNSE 0.17 %, Magma FincorpNSE -0.25 %, Shriram City Union Finance and MuthootNSE 0.82 %Homefin which look to raise about Rs 2050 crore between them in the next three weeks. L&T Finance has already concluded its Rs 1000-crore fund raising through NCDs. “In light of the recent rate cuts by RBI, well priced NCDs have become a preferred choice of retail investors,” said Rakesh Bhutoria, chief executive officer at Srei, which is looking to raise Rs 500 crore in bond sales. These companies are offering coupon ranging from 8.6% to 10.75%, much higher than what banks offer. State Bank of IndiaNSE 0.11 % offers a maximum 6.85% for five-year deposits while Bandhan BankNSE -1.05 % offers a maximum of 7.65% for 18 months to less than two-year deposits. Although RBI data suggested squeeze in bank deposits in the past reporting fortnight, long term trend showed 10% annual growth, which is broadly similar to pre-demonetization levels but still lags loan growth, Kotak Institutional Equities said in a note. “The main challenge remains in the structure of the deposits and lending markets where the shift in market share on deposits has been slower to private banks compared to loans, especially large-ticket corporate loans,” the research note said. While competition has prevented banks from lowering deposit rates, the tighter liquidity conditions have forced NBFCs offer higher rates on NCDs. Shriram City Union Finance is in the market to raise Rs 750 crore with Magma looking to garner Rs 500 crore and Muthoot Homefin another Rs 300 crore. The respective target includes option to retain oversubscriptions.